It’s that time of year again where last year’s apathetic Sophomores turn into high-spirited Juniors! Accompanying this transition are Class Officer Elections, where some of the brightest Juniors campaign to become elected as an officer. The positions open for election include Treasurer, Secretary, President, and Vice President. The person with the highest votes for President will assume the position of Class President of 2017, while the runner up will take the Vice Presidency. For Treasurer, we have Jackie Cardin, Kripesh Dhungana, and Tati Muyuka. Jackie has a head start as she’s put multiple posters around the school. Tati has one poster in the cafeteria, and Kripesh’s signs have yet to be seen. The most eminent position, President, has had the most wonderful posters of all. The students running for this position include Antony Rossi, Anthony Defruscio, Cat Sinotte, Nick Britton, Nick Provencher, and Monica Williamson. Anthony Defruscio has two ads so far. Antony Rossi, the Editor-in-Chief of the school’s newspaper, has ten hand painted posters around the school. Cat Sinotte has made wonderful posters using her last name as a pun. 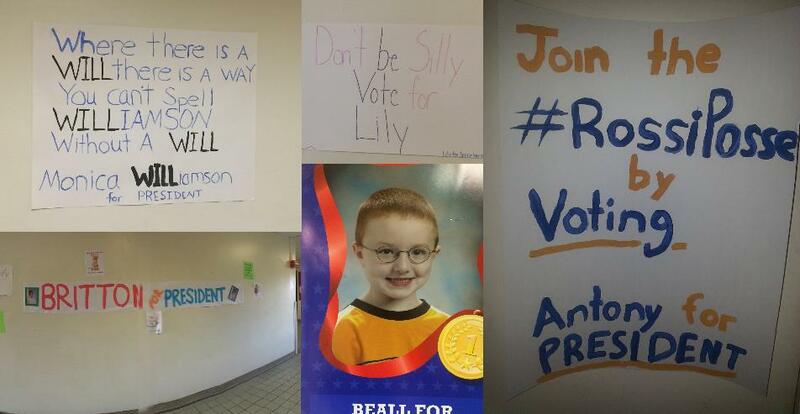 Nick Britton has outshined the other candidates with his posters, with an incredibly large poster near the 600 wing. Nick Provencher has made posters that don’t fail to make me laugh and Monica Williamson has used both hand-made and printed poster also using her last name to her advantage. This year has seen much more enthusiasm compared to last year’s race. This race will show either how important the posters are, or how unimportant they are. Will people prefer hand-made posters, or papers that are printed out? Can hashtags actually help your campaign? Who knows, but if you’re a Junior, you better be ready because your favorite candidates are coming for your votes!